Here is a spectacular home just off Lake Metigoshe in Hidden Bay Estates! 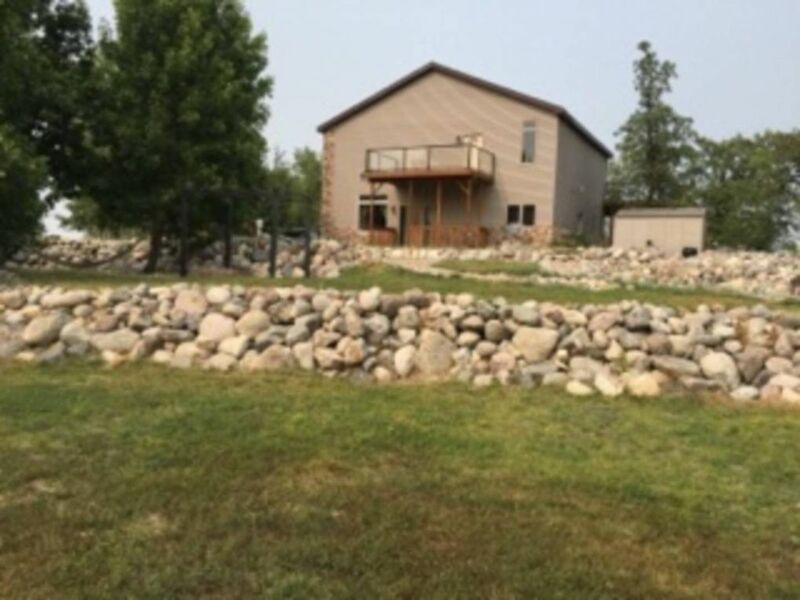 This 2 story property features 2740 square feet of total living area, a scenic view of the lake, unique landscaping, a stone patio, a wood deck, 3 bedrooms, 2 bathrooms, & it is situated on a huge lot that is just shy of a full acre. On the main level you will find the spacious kitchen complete with a large island with seating, the comfortable living room, a bedroom, a 3/4 bathroom, a beautiful stone propane fireplace, & a wonderful staircase with a built in bookshelf. The 2nd level features 2 bedrooms, a full bathroom with a jet tub, & family room. A big lot, a beautiful home, & the lake just a stone's throw away? Sounds pretty good, doesn't it? Contact us today!